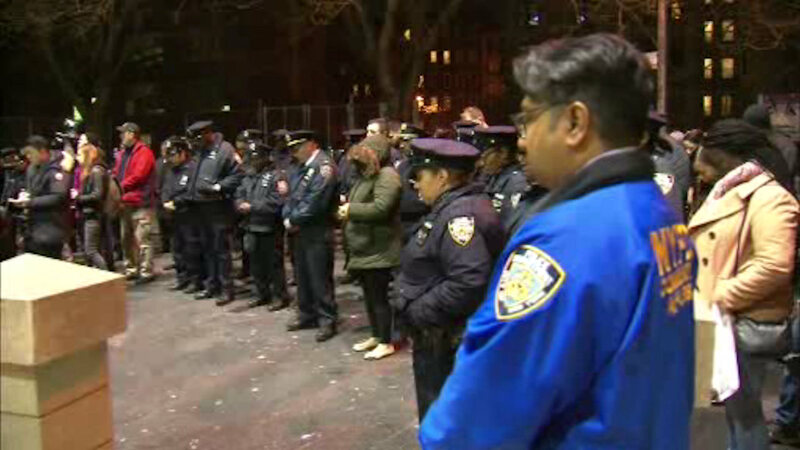 EAST VILLAGE, Manhattan (WABC) -- An off-duty rookie NYPD officer who was killed in a car crash last week was remembered on Monday night by the community she protected. A candlelight vigil was held for 27-year-old Officer Bianca Bennett outside the 9th Precinct in the East Village where she worked. 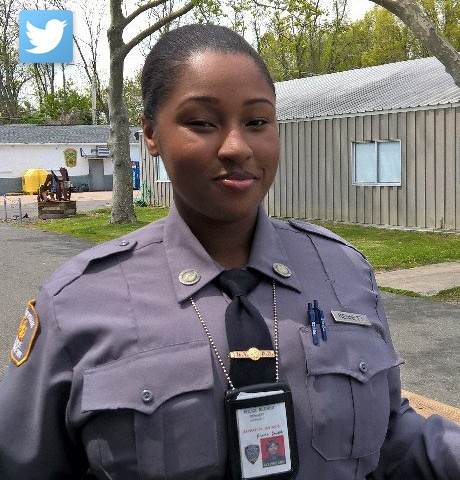 Officer Bennett was killed last Wednesday night after she was the passenger in a car that flipped over several times and caught fire in Pelham Bay. Her mother, Yvette Bennett, thanked the gathered crowd of fellow officers, family, and friends for their continued support. "We're at a loss right now, but it's with your support, your love, and the love that you've shown my daughter that we will get through this," said Bennett. The red Dodge Durango, driven by 32-year-old off-duty NYPD Sergeant Randolph Price, ran off the roadway at City Island Road and Park Drive at approximately 11:45 p.m.
Sgt. Price was pulled from the wreckage and taken to Jacobi Medical Center where he's recovering.